The Hauppauge Colossus HD PVR is the latest capture card that allows High Definition capture from an unencrypted source. It is the successor to the popular HD PVR USB model 1212 that came out almost 3 years ago. The Colossus HD PVR retains most of the strengths of the original HD PVR and loses some of the (arguable) weaknesses. 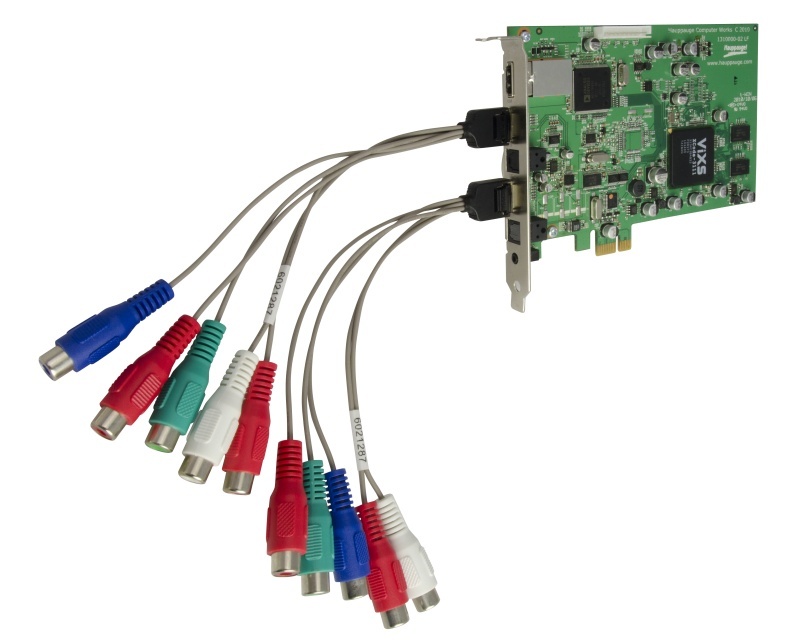 Namely, the Colossus HD PVR is an internal PCIe X1 full size card. That's a good thing from some, and a bad thing for others. The best part of the HD PVR (USB and Colossus) is that it has an onboard hardware encoder that re-encodes HD material into H.264 format. Where the Colossus HD PVR differs from its predecessor, however, is that it utilizes a different encoder chip, which also supports MPEG-2 encoding (although this functionality is not yet utilized) and it adds support for unencrypted HDMI capture. The Colossus HD PVR also supports pass-through of the component signal like the HD PVR USB, as well as S/PDIF audio. 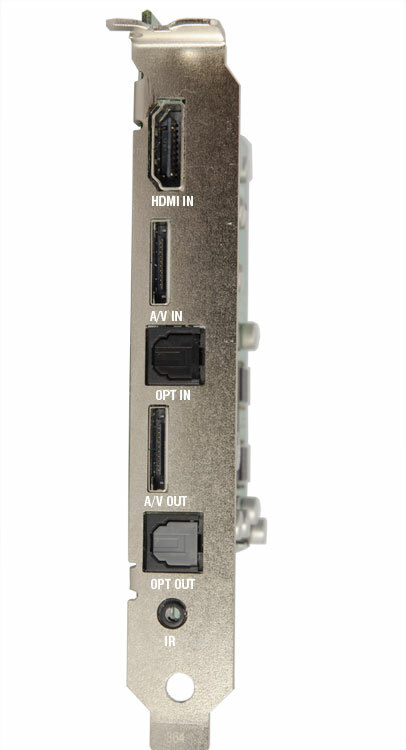 As you can see in the image above, the Colossus HD PVR comes with two break-out cables that attach to the board through proprietary connectors (input and output/pass-through). The cards just recently started shipping from Hauppauge to early adopters who purchased during the pre-order period. SageTV recently released a beta update to SageTV 7 that allows the Colossus HD PVR to be used as a capture device within the software. Setup was pretty straight forward, as any other capture card being set up in SageTV. Hauppauge also has updated drivers on their website that fix a S/PDIF audio issue. I recommend using the updated drivers as well because reports seem to indicate the CD installer attempts to update other Hauppauge cards if they are installed in the system. Some have reported these updates made their existing Hauppauge cards less stable.